The University of Southampton has taken another significant step to help realise its goal of building a new world-leading research centre in cancer immunology and immunotherapy. A £480,000 gift, to build immunomonitoring laboratories in the new Centre, has been given by the Wolfson Foundation in recognition of the University’s essential role in translating the work of researchers in the laboratory into direct treatments for people with cancer. The Wolfson Foundation is a charity that awards grants to support and promote excellence across the UK. The gift will directly support the University’s public campaign to raise £25m to build a new Centre for Cancer Immunology based at Southampton General Hospital. Thanks to significant gifts such as this, the University is over halfway to its target and planning the Centre with confidence. 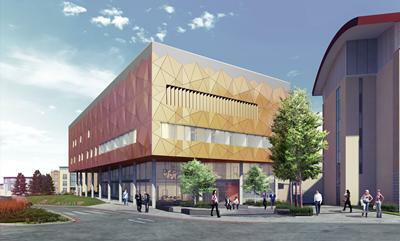 The new Centre, the first of its kind in the UK, will build on the University’s global reputation for ground-breaking research in this area, enabling it to accelerate the development of immunotherapy treatments and deliver cures for cancer more effectively and quickly. 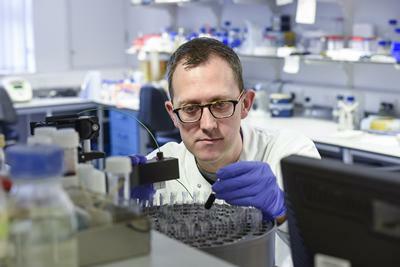 For more than a decade, the University of Southampton has made a number of advances in tumour immunology and immunotherapy with a reputation for its ‘bench to bedside’ results. More and more evidence is showing that the body’s immune system has enormous potential to fight cancer and to extend peoples’ lives. Recent results from large clinical projects are giving real hope that researchers are entering a new era of cancer treatment. As many as half of Southampton’s patients with difficult and terminal cancers, including lung and skin cancer, are showing dramatic improvements with immunotherapy and an estimated 20 per cent are now living cancer-free. The new treatments come in the form of vaccines and antibodies designed to direct special immune cells against cancers. The new Centre will enable more clinical trials to take place and more lives to be saved from cancer.